The redesigned Mustang Model DBS-20C Mid-Range Squeeze Tool accommodates pipe sizes from 1/2” CTS to 2” IPS maximum. The DBS-20C can be used on service pipe up to medium size distribution pipe with ease and safety. The lower jaw has two sets of gap stops to accommodate two pipe sizes of your choice. 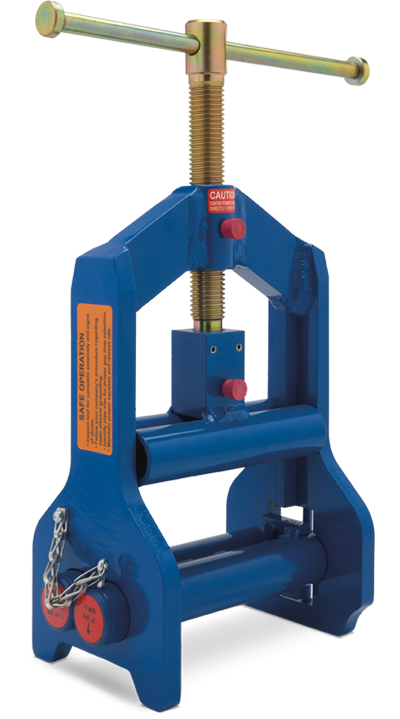 Features include a larger, heavy-duty frame designed to withstand the greater force needed to squeeze today’s PE pipe, while retaining the double-bar jaw design for greater contact area.